I’ve been using this cup for the past week and it puts a smile on my face each time I use it. If you have ever been to NYC you know exactly what this cup is about. If not, you can read up about it here. 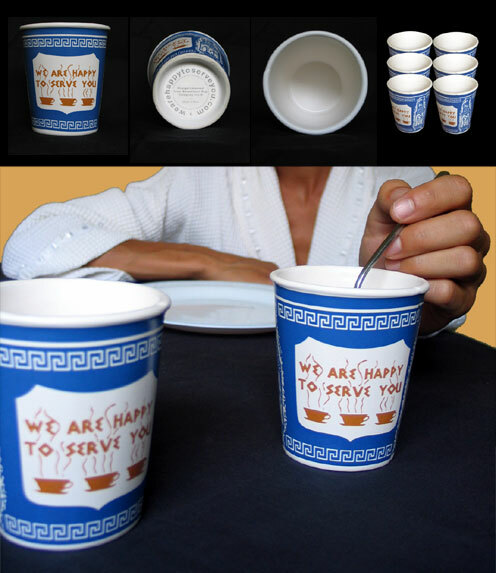 It’s considered the world’s most famous paper cup and it’s now been replicated in ceramic complete with details you’d see in the paper cup version (seam and lip overlay). Not much else to say about it other than it holds 10 ounces of liquid, is manufactured of lead-free earthenware and is microwave and dishwasher safe. A single cup retails for about $12.